By The resurrection of the ghost of John Foster Dulles by the talking point mangers within PFDJ in the middle of an intense national political discourse about resolution 1907 is intended to divert attention away from PFDJ's failed leadership and stifle all forms critical analysis about the sanction. In short, project “deflect and confuse” is being whipped up for domestic and Diaspora consumption. 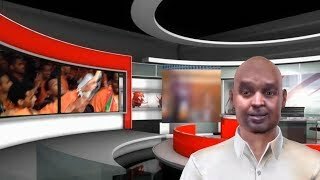 The Eritrean Diaspora has been targeted for intense propaganda campaign – a cocktail made up of fear, innuendo, recycled history with no relevance to the immediate sanction and hyper nationalism. 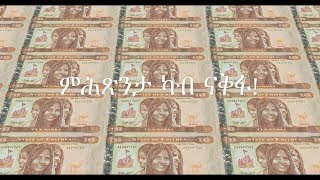 Based on the level of franticness and unbridled distortion being manufactured to misconstrue the actual meaning and target of the Smart Sanction (Resolution 1907) one can easily come to the conclusion that PFDJ’s ruling clique has been hit with a solid brick and is fighting for its shrinking political life. The truth is the magnified hype might rally the dwindling PFDJ Diaspora base and keep them busy for few months and add few dollars to the PFDJ’s treasury but it will not alter the course of the sanction. To bring back the conversation to the realm of rationality we have to deconstruct the actual sanction and see if sober minds can prevail, at the end of the day, and a much more sophisticated grasp of the sanction and its implication will resonate in our Diaspora community. With little work sanity will prevail and all Eritreans will understand the true cause and meaning of resolution 1907. The first reality in the deconstruction process is to affirm the bitter fact that there is only one way the sanction can be lifted: The Eritrean regime has to comply without any precondition or equivocation. There is no wiggling room. 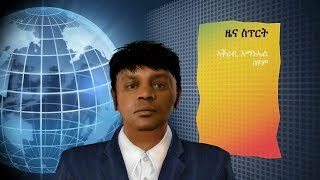 The second phase is to really take a closer look at the actual decision and make the document more relevant to our discussion and create an opportunity for us to get acquainted or reacquainted with the background information and findings that helped the UNSC come to the decision to sanction the Eritrean regime. We have to start from the later point and return to the first one in the end of our deconstruction. Has the Eritrean regime been providing support to the armed groups in Somalia including to the Al -Shabaab? 78. The Monitoring Group received information that on or about 2 January 2008, an arms shipment originating from Eritrea arrived in Mogadishu. The shipment was transported by road via the Eritrean-Djiboutian border into Zone 5, Ethiopia, and crossed the Somali border near Beletweyne (Hiraan region), before reaching Mogadishu through Buulo Burto (Hiraan region). 79. The arms shipment was hidden under a transport of potatoes and bags of coffee, and consisted of the following: 13 bags of coffee with dismantled RPG-7s; 9 bags of coffee with hand grenades; 4 bags of coffee with anti-tank mines; 12 bags of coffee with three different types of detonators; 2 bags of coffee with pistols; 20 bags of coffee with mortar shells, 27 AK-47 assault rifles, 15 PKM machine guns, 9 RPG-2s, 19 small mortars, 14 FAL assault rifles, 13 rifle-fired grenades for the FAL, 4 M-16s and explosives. 80. The Monitoring Group received information that, towards the end of 2007, about 120 fighters of the Shabaab travelled to Eritrea for the purpose of attending military training at a military base located near the Ethiopian border. The fighters were reportedly of Somali, Oromo, Zanzibari, Comorian, Afghani and Pakistani origin and trained in the use and assembling of weapons and explosives, in making improvised explosive devices, and in assassination techniques, guerrilla warfare tactics, tactical planning, sharpshooting and self-defence. 81. After the initial training, the fighters travelled to different locations, including an island off the coast of Massawa, Eritrea, for practical training in the use of explosives and other weapons. Upon completion of the training, the fighters regrouped in Assab, Eritrea, in preparation for transport to Somalia. 82. The group of fighters split in Assab and used different routes and means of transport to reach Somalia. One group went by road along the Eritrean-Djiboutian border into Zone 5, in Ethiopia, before entering Somalia. Another group went by dhow to Somaliland, Somalia, and used road transport to reach Mogadishu. Another group was transported by dhow to Bossaso, Somalia, where some travelled by road to Mogadishu, while others remained in Bossaso to prepare attacks against the local authorities of Puntland and the Somali Transitional Federal Government. Finally, the remainder of the militia was transported by plane to the Galgaduud region, Somalia. Those who arrived in Mogadishu on 16, 17 and 18 February 2008 participated in attacks against the Ethiopian military and the military forces of the Transitional Federal Government. 83. The Monitoring Group received information that on 2 February 2008, Barre Hiraale, a warlord operating in the Gedo and Jubba regions, Somalia, and who has an alliance of convenience with the Shabaab in an attempt to control Kismayo, received an arms shipment from Eritrea. The arms shipment was transported by dhow through Somaliland to Kismayo, Somalia, with the final destination of Bardheere, in the Gedo region. The arms shipment consisted of a large quantity of a variety of ammunition, about 180 AK-47s, about 45 PKMs, RPG-2/7s, mortars, Zu-23s, DShKs, dhuunshilke, pistols and B-10s. 84. The Monitoring Group sent a letter dated 7 March 2008 to the Government of Eritrea, requesting further details concerning the foregoing information. In its reply dated 20 March 2008, the Government of Eritrea informed the Monitoring Group, specifically with regard to the information contained in this report that it “has not provided any arms to the Shabaab, nor has there been any arms shipment originating from Eritrea for the Shabaab”; that it “has not provided military training to Shabab fighters”; and that such accusation is a sheer fabrication. The Government of Eritrea further stated that it “has not provided arms to Barre Hiraale, who until recently was the Defence Minister of the Federal Transitional Government of Somalia” (see annex I). The purpose and the need to quote extensively form the Monitoring Group’s report is to demonstrate how detailed and meticulous the monitoring has been and that the UN, through the Somalia Monitoring Group, has been presenting detailed reports on role of the Eritrean regime consecutively from 2005 to 2008. The UN has done its homework. The regime’s answer to this kind of damming accusation was to state that it was a “sheer fabrication” thus continuing to underestimate the UN’s responsibility and aggregate ability to punish rogue regimes that are determined to destabilize an entire region. Since one of the two reasons why Resolution 1907 was adopted by the UNSC was due to the Eritrean regimes “role in Somalia” it is obvious that this kind of negative activity was eventually to force the UN to reach a drastic conclusion. The arms embargo imposed on December 23, 2009 was in a way inevitable to all but the hard- headed leadership of the rouge regime in Asmara. The stonewalling did not work. The crocodile tears by the regime and its Diaspora agents cannot put the genie back into the bottle. Reading between the lines, one can see that Resolution 1907 is now plugged in to all other previous resolutions that deal with a much broader issue of international terrorism. To the simpletons of PFDJ they feel by concocting the usual dosage of singing, flag weaving and boisterous rhetoric they can cut down the UNSC to size. They want to save their favorite tyrant through yesterday’s slogans and table pounding speech. Isaias and his clique put the noose on their own neck. With Al-Shabaab affirming its unflinching loyalty to Al-Qaida the umbilical cord will eventually reach Asmara. Eritrea and the people of Eritrea have nothing to do with this kind of madness. They are victims of PFDJ’s internal terrorism. The arms embargo –the first aspect of the sanction is based on factual deliberation and after years of “asking” the regime to correct its ways. Make time to read the extensive Monitoring Group report and you will wonder why the UN took so long to come to this conclusion. The followers of Isaias Afeworki have no one to blame but their political boss. 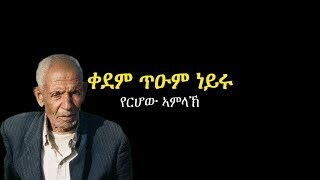 If they have the nerve they should ask him why he keeps playing with the fate of the people of Eritrea and the Sate of Eritrea.